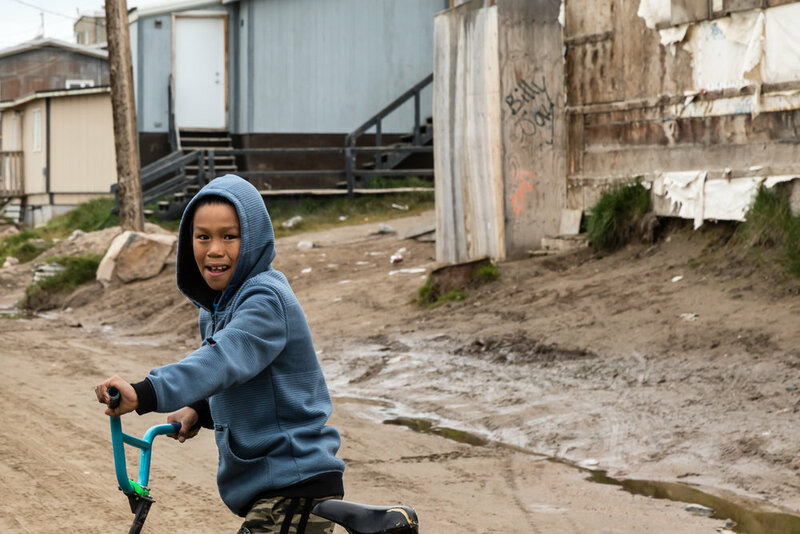 The Hamlet of Pond Inlet, Mittimatalik in Inuit, is a vibrant and growing community in Nunavut on the northern end of Baffin Island in the Canadian Arctic. Poised at the eastern tip of the Northwest Passage, Pond Inlet is surrounded by mountain ranges, glaciers and fjords, and drifting icebergs. It's a beautiful place. 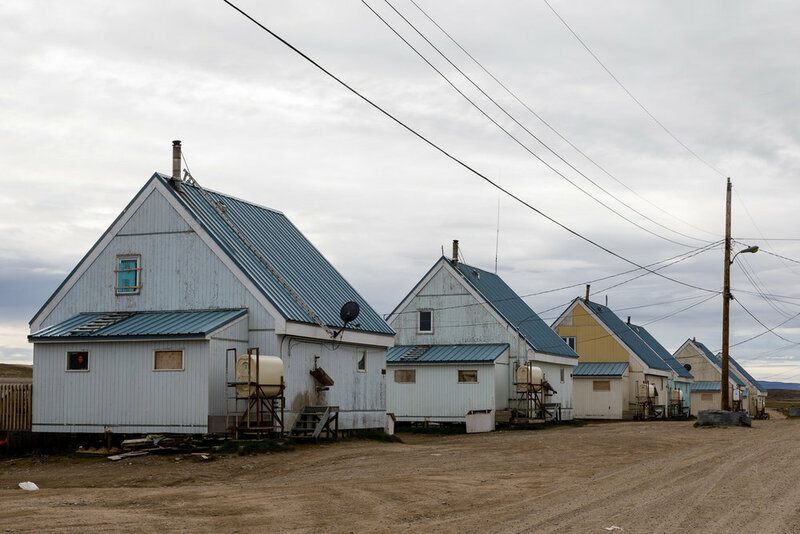 The population of Pond Inlet, currently around 1,600, is expected to grow further once the Mary River Iron Ore Mine is in full operation. 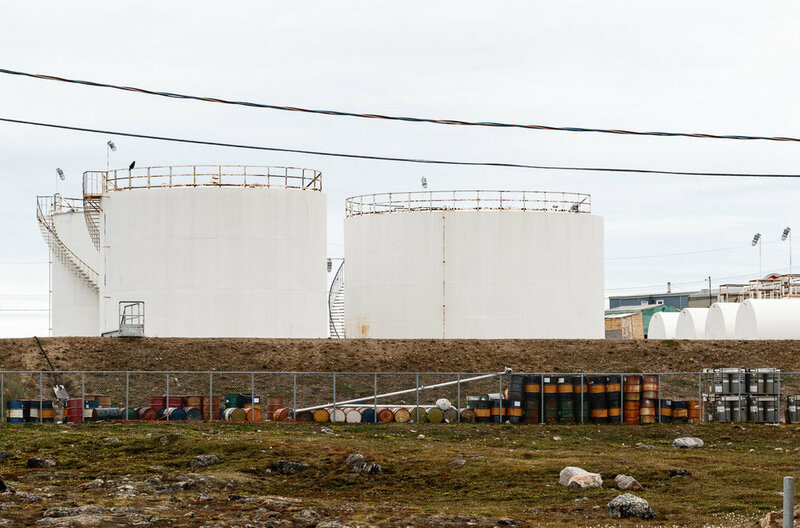 Funding has recently been secured to deepen and expand the harbour in Pond Inlet to allow easier access for freight and cargo ships and that work is expected to begin shortly. 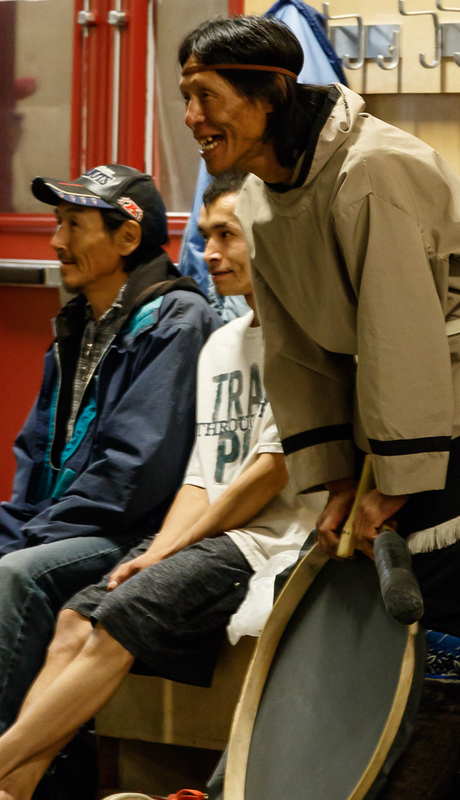 After crossing Baffin Bay from Greenland, the group is welcomed to Pond Inlet for a community visit. This was a more structured process than I've seen in other communities, with each person's name checked against a master list both upon arrival and again when leaving, and that was a bit of a surprise. Perhaps it's always done that way in Pond Inlet. Once cleared to enter we wandered around the town, which is a mixture of the picturesque, the functional, and the somewhat dilapidated. 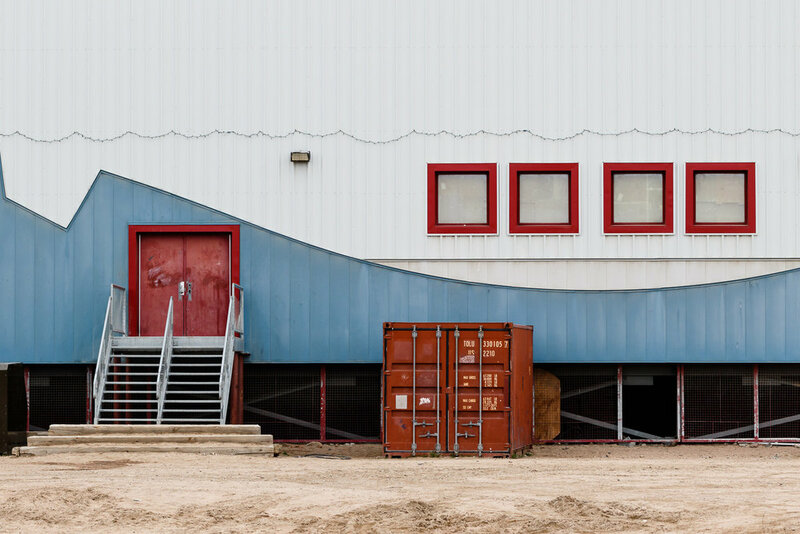 Obtaining supplies is difficult and expensive and the northern climate is harsh on buildings. There's lots of colour in the buildings and the mountains and glaciers form a magnificent backdrop. 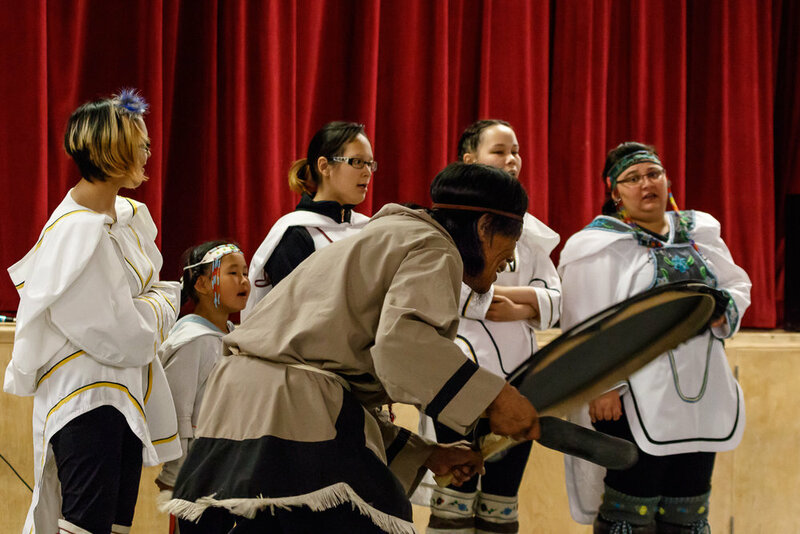 The walk through the town, winding our way through the streets to the community centre where we had been invited to enjoy a cultural presentation of Inuit games, singing and drum dancing was enjoyable. 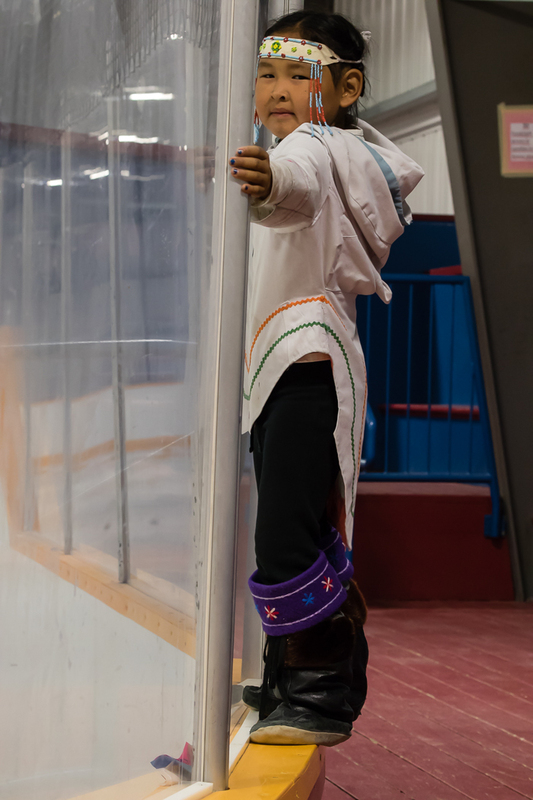 A young girl in the hockey arena, which is part of the Community Centre. The arena is well-used, with skating activities scheduled most days of the week. The sign above the door says a lot. The games are challenging, requiring a serious level of strength and fitness. None of the pictures I took captured either the skill or the difficulty involved so I haven't included any. The singing, especially the throat singing done by the women is lovely. We were all delighted, visitors and townspeople alike. After the cultural presentation there was an opportunity to explore the town. Pond Inlet has an active airport which is the way most visitors arrive, road transportation being limited or non-existent. 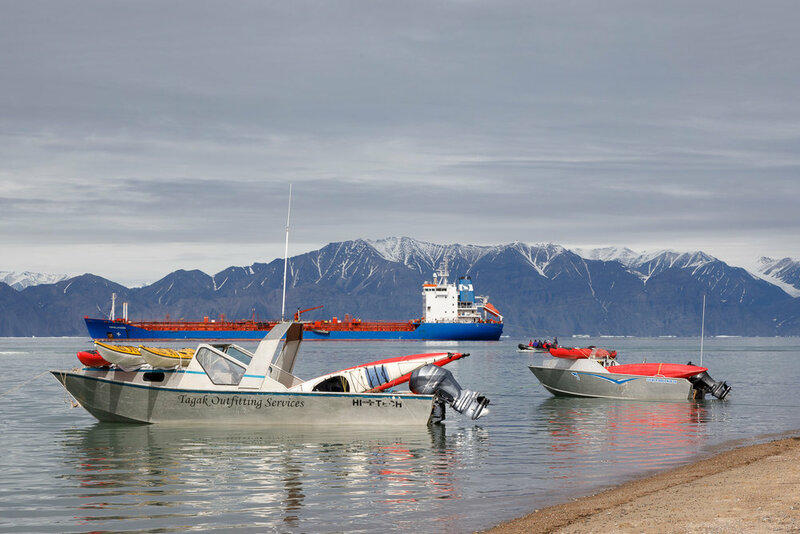 With a growing interest in northern exploration tourism is increasing, and Pond Inlet provides outfitting services for groups interested in getting out on the land. The Church of the Sacred Heart of Jesus is the most northern Catholic church in the world. This image was taken from the top of the hill looking down on the back of the church, with the Ocean Endeavour in the background. The Crucifix on the hill above the church, a large and visible landmark. And a closeup of the church steeple. I saw few people around the town and that struck me as unusual. In other communities I've visited people were outside, busy with their lives, and interested in connecting with us. There were always lots of children around. But not here. The town seemed deserted, and I saw only two children outside of the community centre and just one other inside. When I asked about it I was told the men were out on the land hunting and some of the older children might be with them. We were also told that Saturday mornings tend to be quieter as people are taking it easy at the end of the work week. And that may be all there was to it. 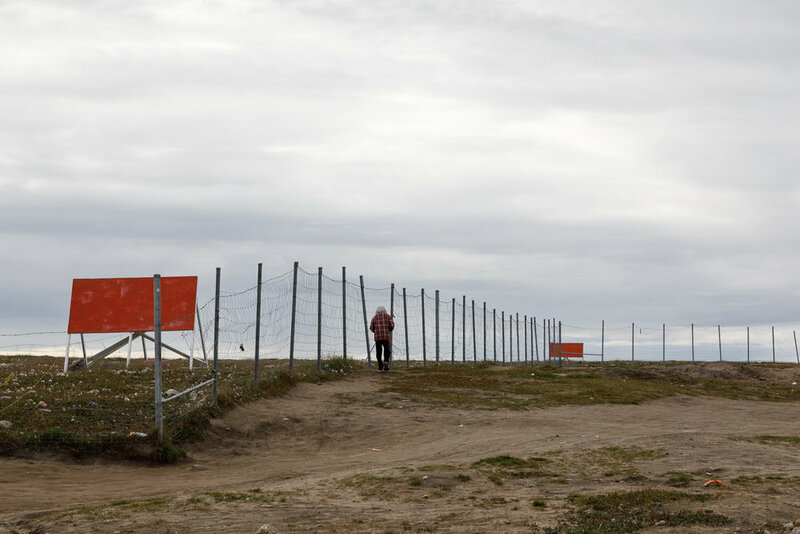 But I did wonder if perhaps the people of Pond Inlet no longer want groups of people landing on their shores and wandering through their town. 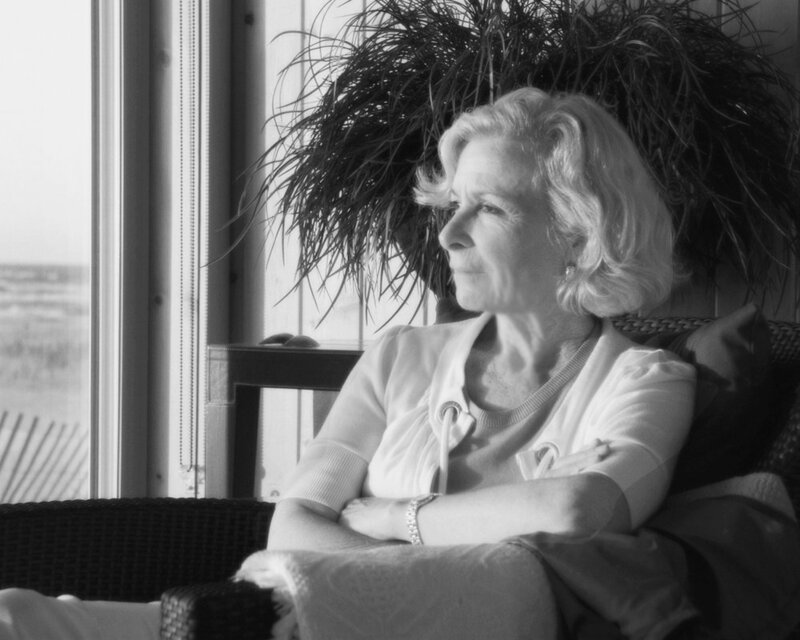 We look, we observe, we're curious, but what, if anything, are we giving back? Nunavut is a beautiful part of our country. I was pleased to have had the opportunity to visit Pond Inlet to see and learn a little more about this land and the people who inhabit it. I will return to the Arctic again next year. It is a unique and special place.